Moscow has dismissed US allegations that it may be supplying Taliban insurgents as a “complete fabrication,” saying the charge is Washington’s attempt to cover up for its own failures in Afghanistan. “Those are utterly false assertions, and we have reacted to such [allegations] on several occasions. It is not even worth a reaction since those statements are fabrications designed to justify the failure of the US military and politicians in the Afghan campaign,” Zamir Kabulov, the Russian Foreign Ministry’s director of the Second Asian Department in Afghanistan, told RIA Novosti on Friday. “They are looking for someone to blame [for their failures] everywhere other than in Washington,” Kabulov, who served as Russian envoy to Afghanistan in 2004-2009 and is currently a special representative of the Russian president, said. On Thursday, US Army General Curtis Scaparrotti, who is NATO’s Supreme Allied Commander in Europe, said that he had seen “Russian influence” on Afghan Taliban insurgents who are gaining momentum, raising the possibility that none other than Moscow helped supply the militants. “I’ve seen the influence of Russia of late,” the top US general in Europe told a senate hearing, as cited by Reuters. While speaking of “increased influence in terms of association and perhaps even supply to the Taliban,” the official offered no evidence to back up the claims and provided no sources for the serious allegation. 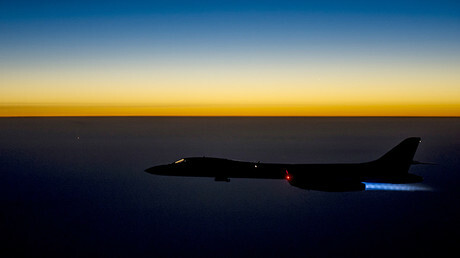 The allegations do not require any serious analysis, the Russian Defense Ministry said on Friday. “The Pentagon’s inability to stabilize the situation in Afghanistan during the 16 years of its presence there has been explained by General Scaparrotti by alleged machinations from Russia, even though Russia has not been there since 1989,” Russian Defense Ministry spokesman Major General Igor Konashenkov said in a statement. Earlier this month, the Russian Foreign Ministry dismissed US claims that Moscow supports Taliban insurgents in Afghanistan as evidence-free and absurd. 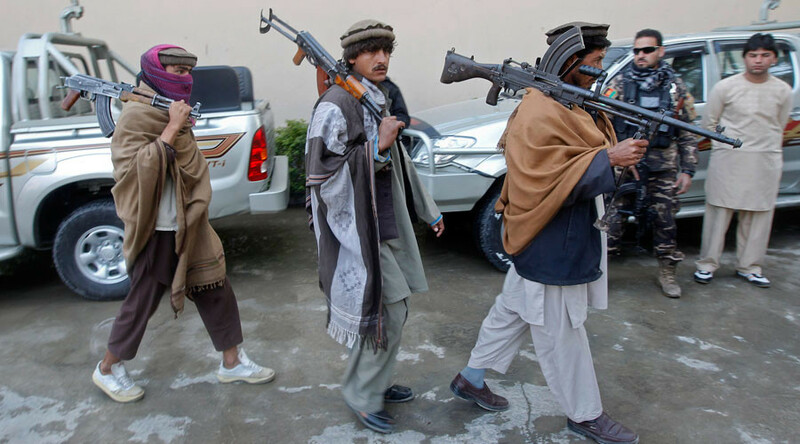 “The Russian side is accused of supplying the Taliban movement with weapons, financing the activities of this extremist organization and even facilitating the creation of training camps for the militants on the Afghan territory. Needless to say, all this is not supported by any evidence,” the ministry said in a statement. “Promulgation of such absurd inventions reveals a staged campaign to discredit our country, during which the Afghan and the world communities are being supplied with the thesis that Russia is ‘undermining’ international anti-terrorist efforts in Afghanistan,” the statement added. Moscow said it is quite obvious that “certain forces, both outside and inside Afghanistan,” are behind attempts to discredit Russia. Calling the current situation in Afghanistan a “stalemate,” US Army General John Nicholson recently told the US Senate Armed Services Committee that while he has enough troops for counterterrorism operations against the likes of the Taliban, Al-Qaeda, and Islamic State (IS, formerly ISIS/ISIL), he would like several thousand more in order to boost the capabilities of the Afghan security forces. Nicholson said any troop injections could come from the US military or NATO nations. About 8,400 US troops and 6,400 NATO soldiers remain in Afghanistan, following the large-scale NATO troop reduction there in 2014. 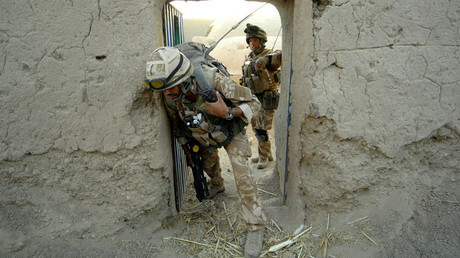 US-led forces entered Afghanistan to remove Taliban control more than 15 years ago, following the attacks of September 11, 2001.